Book your eye exam today. Your future suddenly became a whole lot clearer. Get one free scratch resistant and anti reflection coating. We will do our best to accommodate your busy schedule. Book your eye exam today! Call us at (315) 276-3335 today. 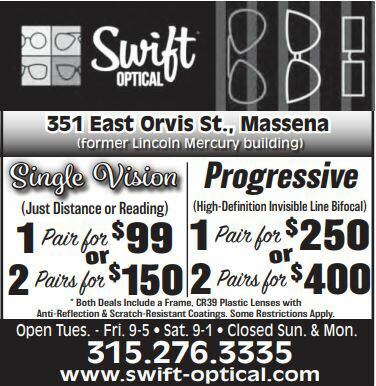 Welcome to Swift Optical in Massena. Our Doctor and the Swift Optical team strive to provide the best in optometry services. We invite you to browse our website to learn more about our optometry services and join our patient family by scheduling an eye exam appointment at our Massena office. 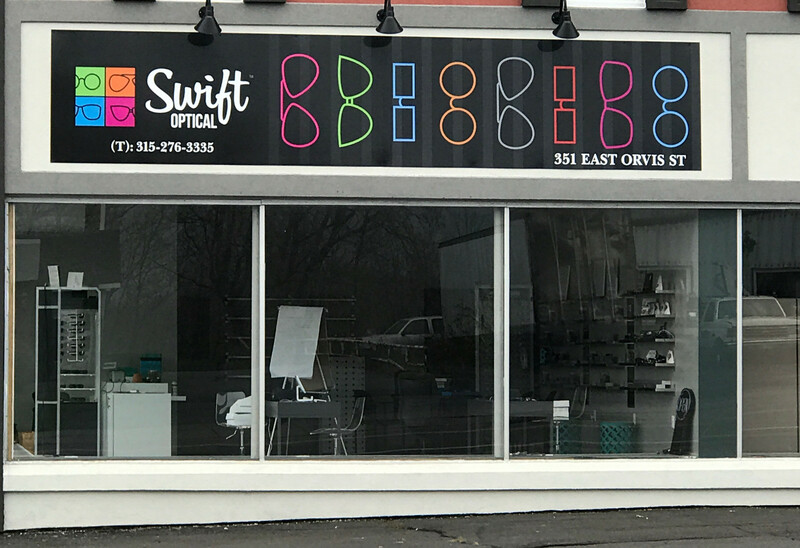 Patients throughout St Lawrence county in upstate New York come to Swift Optical because they know they will receive the personal attention and professional care that is our foundation. Our team is dedicated to keeping our patients comfortable and well-informed at all times. At Swift Optical, we will explain every exam and procedure and answer all of our patients' questions. Additionally, at Swift Optical, we offer vision financing options and will work with vision insurance providers to ensure good eye health and vision care for all of our patients. Our one-on-one approach to optometry makes the Swift Optical staff the eye and vision care providers of choice in the St Lawrence county in upstate New York. Our Massena team offers the following services: complete eye exams, contact lens exams and glasses. For a complete list of services, visit our services page or call our Massena office at (315) 276-3335. At Swift Optical, we are dedicated to providing high-quality optometry services in a comfortable environment.Call us at (315) 276-3335 or book your eye exam today online. "Lorraine is wonderful! Very friendly and helpful. She even adjusted a pair of glasses not purchased from her shop....for free! Prices are very reasonable. We will definitely be returning to Swift Optical!" "Great service - Super friendly Staff. My glasses They said, they'd be in within 10 days and they had them in 3 days. I was in and out in 25 minutes. They helped with my facial shape to find the glasses that would look best on me and style."